ENERGY-SAVING SPEED CONTROLLERS RX WITH THE SECURITY DEGREE IP52. Controller is used to control the speed in single-phase fans. Controller consists of 5 control levels 0/70/85/105/145/230V, power supply voltage-230VAC / 50-60Hz, allowable current output:0,6A; protection: thermal breaker switch; dimensions: 118mm x 78mm x 55mm; weight: 0,7 kg. 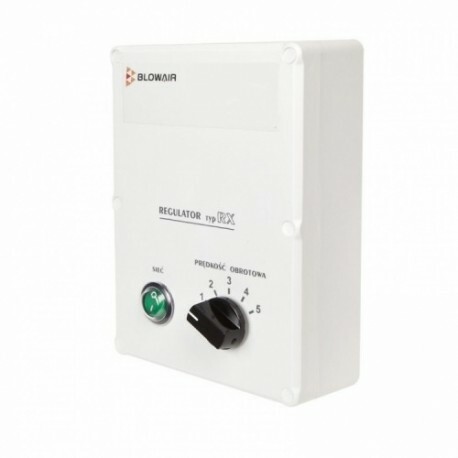 It is recommended to use one speed controller to each Blowair S1 device (hot water air heater).